I hope you had a great Easter weekend! Mine was busy. We did a musical drama at our church for which I helped to write the script and I worked the backstage during the production. It was a big success, which is always gratifying to see! 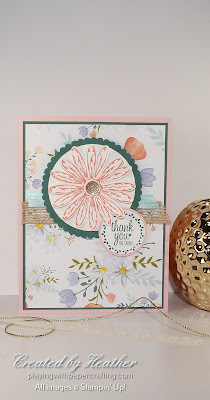 All the kids and grandkids stayed home so it was a bit quiet here but that meant I could play around with all my new catty products which arrived Thursday afternoon, so Saturday I assembled stamp sets and put away new materials and Sunday after church, I stamped to my heart's content. But I have a dilemma! I have wonderful new product to play with, but there are dozens of old products that are retiring. I want to feature them as well,so that you don't forget about sets that you loved but haven't had a chance to purchase yet and this is your last chance to do it! 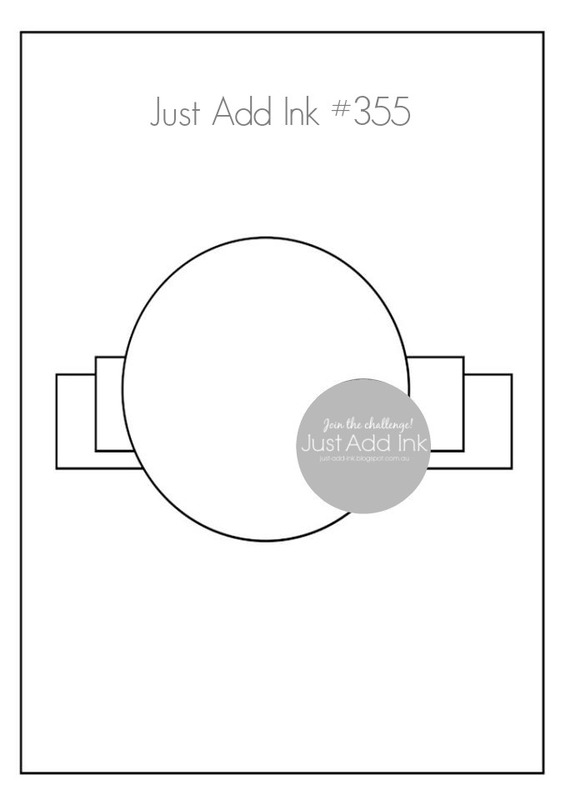 So I came up with a unique solution!! 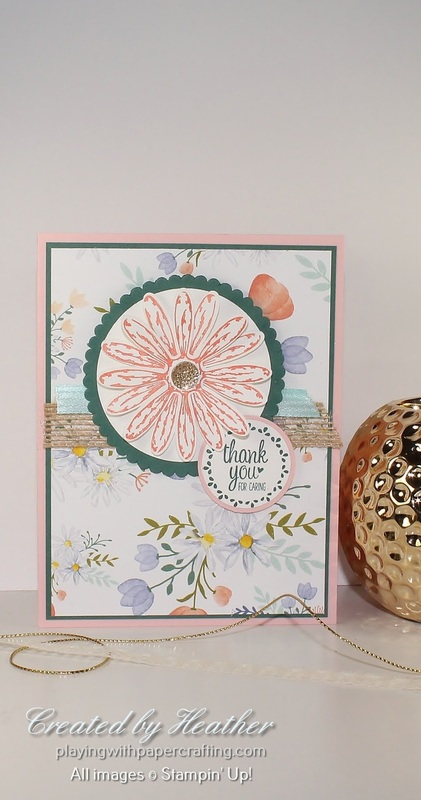 This card features the Grateful Bunch stamp set, which happens to coordinate with the Blossom Bunch Punch, which just happens to be on sale for 50% off. The sentiment is from another retiring stamp set, Sunburst Sayings. The clear mount set is also on sale for 15% off. Other retiring products involved in this set are the Blooms and Bliss Designer Series Paper, the Tip Top Taupe 5/8" Mini Striped Ribbon, on sale for 30% off, and the Succulent Garden 3/8" Ribbon Combo Pack, on for 20% off. 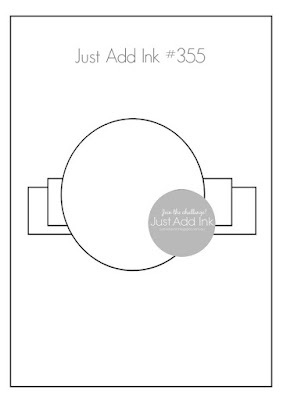 The card base is the new Powder Pink* In Colour. It falls somewhere between Pink Pirouette and Blushing Bride, which is the colour of the card base of the previous card. 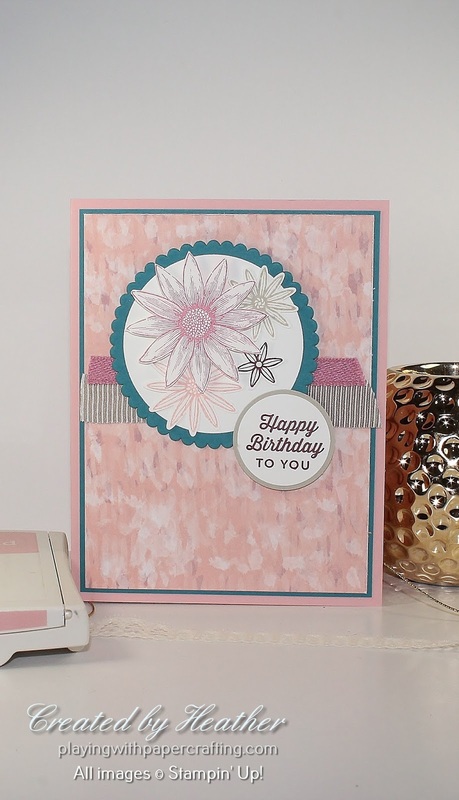 The beautiful new Designer Series Paper is called Delightful Daisy Designer Series Paper*. It is one of my favourite sets of the new catalogue, so I urge you to take a good look at it when you get your copy. There are some beautiful designs. 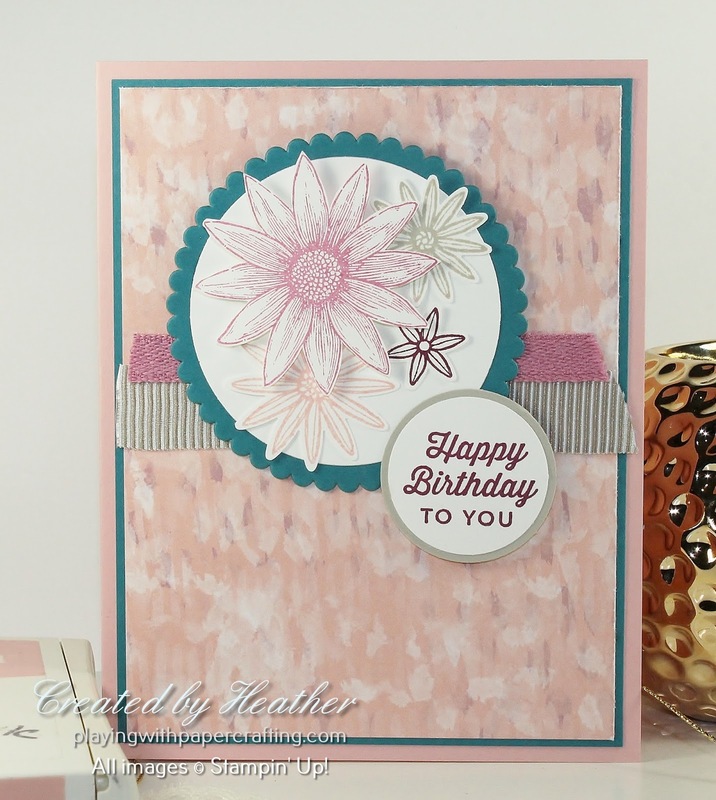 The stamp set I used for the focal point is called Daisy Delight* and it's a 16 piece photopolymer set. There is a coordinating punch called the Daisy Punch*. 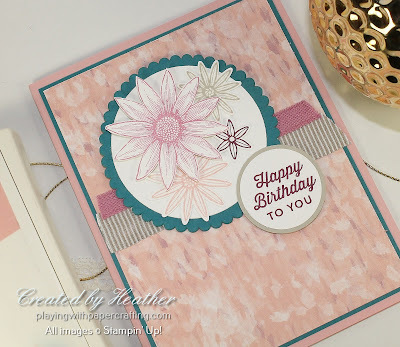 The contrasting cardstock I used is also a new In Colour called Tranquil Tide and the sentiment comes from another new stamp set called Label Me Pretty* which coordinates with a new punch called the Pretty Label Punch* (plus the 1 1/4" Circle Punch). The only products which aren't new are the Burlap Ribbon which will continue in the new catalogue and the Pool Party 3/8" Stitched Satin Ribbon, which is retiring and is actually now sold out. *New products from the 2017-18 Annual Catalogue, available on June 1.